There are many allies bearing generic names related to locations in this game. Guard of the Citadel, Son of Arnor, Lórien Guide, all kinds of Gondors and Erebors and Westfolds, and, everybody’s favorite, the Snowbourn Scout. These guys are lovely fodder for us here at Master of Lore, because they allow us to make a hasty stroke at some geography. Today, however, I’m skipping to territory that’s both familiar and unfamiliar. Join me in scouting the Trollshaws! When four hobbits and a ranger find their way over the Last Bridge and into the Trollshaws they come upon a strange but familiar sight: three stone trolls. They remind us that a Hobbit had safely traversed these parts before. It’s a welcomed respite after suffering harsh travel, pursuit, and wound of blade. With Frodo now in dire need of aid, it’s grim times but the trolls remind them of their cozy holes in the Shire those many leagues away. Once in these lands, Strider and the hobbits (band name, called it) find a hilly, autumnal woodland. North and above the Road remain the structures of the once powerful kingdom of Rhudaur, made ruinous by its allegiance to the evil kingdom of Angmar. Merry notices them and asks if they are of troll-make, a question that Strider quickly and vehemntly denies. ‘Trolls do not build,’ he says. So the Men of Rhudaur built the towers. 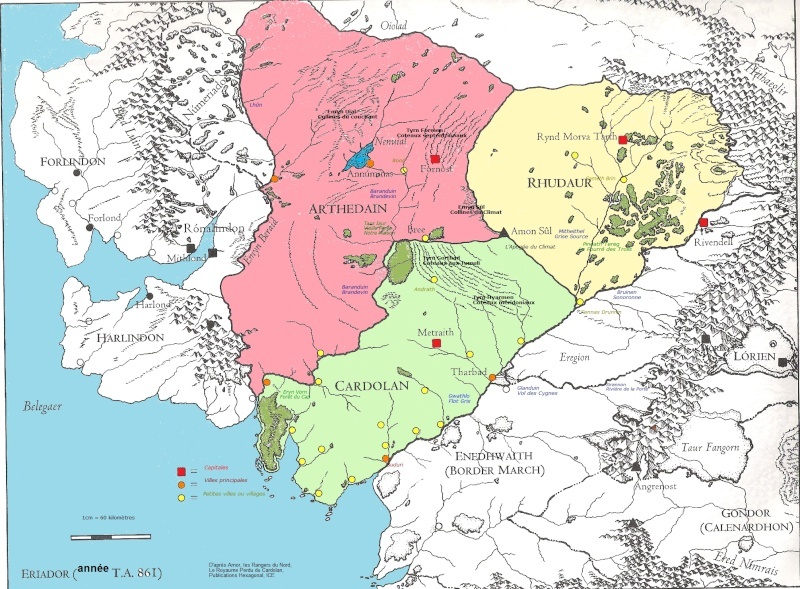 Their kingdom came into being when the northern Dúnedain Kingdom of Arnor was divided in three in 861 of the Third Age when the sons of Eärendur each pulled a power grab. The easternmost of the three kingdoms that came out of it was Rhudaur which seems to mean ‘eastern forest’. Appropriate enough, as the Trollshaws, a forest in the east of Eriador, was their main territory. The Kingdom rose up and was able to successfully contest with its neighboring kingdoms. But the Dúnedain of those lands forgot one thing: you always bring backup. So, without a great number of fellow Dúnedain to help with the running of this great kingdom the rulers turned to help from their hillmen counterparts. And if there’s one thing the observant among you know about the histories of Middle-earth, it’s never trust a hillman. As an aside, the ‘High Fells of Rhudaur’ are mentioned in the recent Hobbit films, but Mike has already gotten into the dubiousness of that locale. The geography of the Trollshaws is craggy and confusing. In the book, Strider has to make more than one adjustment to his travel plans due to the odd canyons and ravines they face. Over hill and dell, through ruinous peaks and troll dens, beyond the beautiful lands of autumn they came to the river Bruinen and its famous Ford. Once the ford is crossed the hardship of the Road is then forgotten because they had made it into the bounds of Rivendell, their fears and pursuit left at the crossing of the river. So where does our Noldor ally fit into all of this? We know that Imladris and all the ways to it, including the Fords, were well-protected. Saruman was not the only one with lots of spies; you can’t keep an elven refuge like Rivendell secret and safe with just a fancy ring. 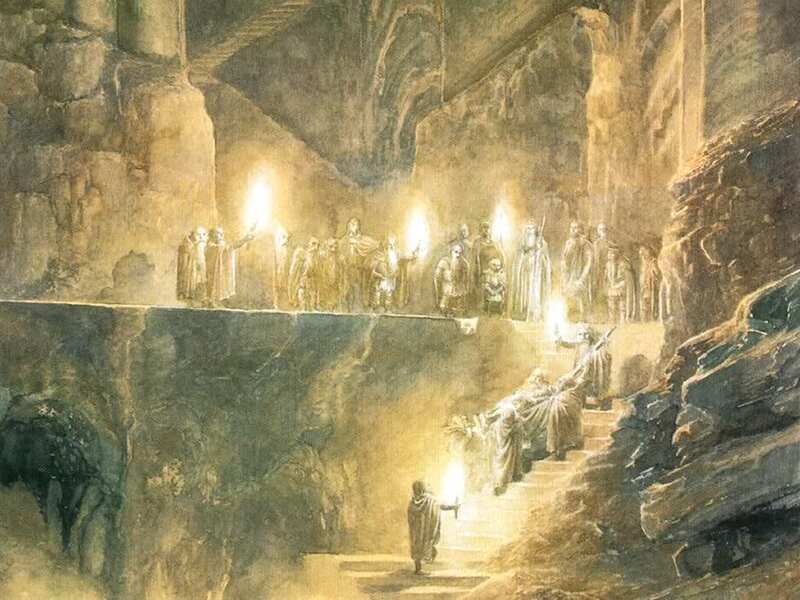 So, Elrond had many of his household going here and there, such as his sons, and their watch was doubled during the time of the finding of the Ring. 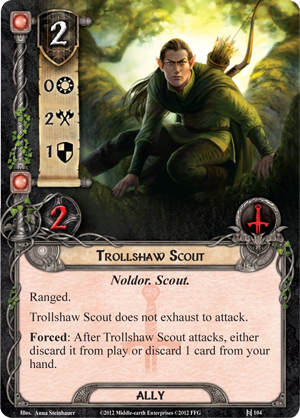 The Trollshaw Scout would be such an elf, keeping guard against the enemies of Rivendell and maybe even looking out for a group of Hobbits due to arrive in his hometown. What I like about his ability is its hit-and-run nature. It’s easy to picture a scout in the woods of the Trollshaws (side note: ‘Trollshaws’ is never actually mentioned in the text, only on the map) taking his shot and then retreating away. Admittedly, the discard that keeps him around is harder to abstract. As a Noldor he has likely seen his fair share of battle, perhaps even as far back as the First Age! More likely, though, would be his participation in the Last Alliance of Elves and Men. At the end of the Second Age, Sauron and his armies swept across Eriador and occupied much of it. It took a league between the elves, led by Gil-galad, and men, led by Elendil, to stop him. As we know, Elendil and Gil-galad died in the final battle and many of the elves of his kingdom far away in Lindon gathered with Elrond in Imladris. Perhaps our Scout was one of those very elves! In any case, this elf belongs in the Trollshaws, or wherever we may take him in our questing. I recently rediscovered this guy while playing Fords of Isen and found him quite useful in that scenario! 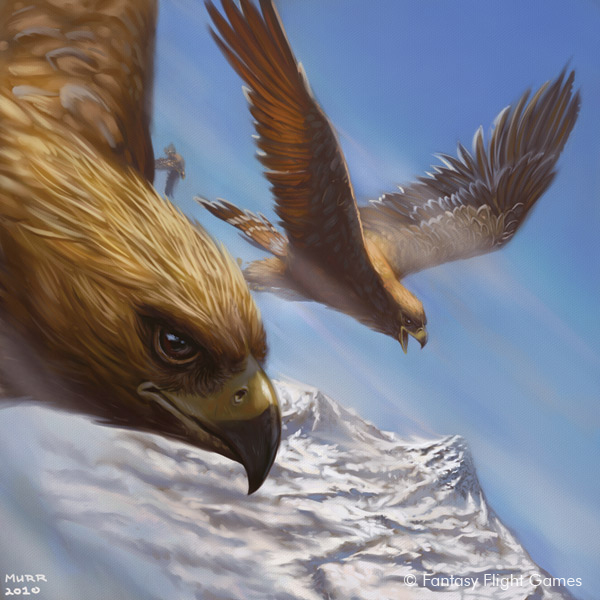 The fall of the Northern Kingdoms was among the many aspects of the lore that I was largely unfamiliar with but thanks to this and your article on Beravor, I’ve had fun exploring that history. Thanks for this post!